Posted 3:57 pm by dogsonthefarm.com & filed under Photos & Videos. Leo had such a good time yesterday! His 14th year at DOTF and he still loves it! He’s exhausted today after playing and having a full groom. So glad we have a place like this to send our beloved doggie Leo. The reason he’s so social is because we’ve been bringing him since he was a year old. 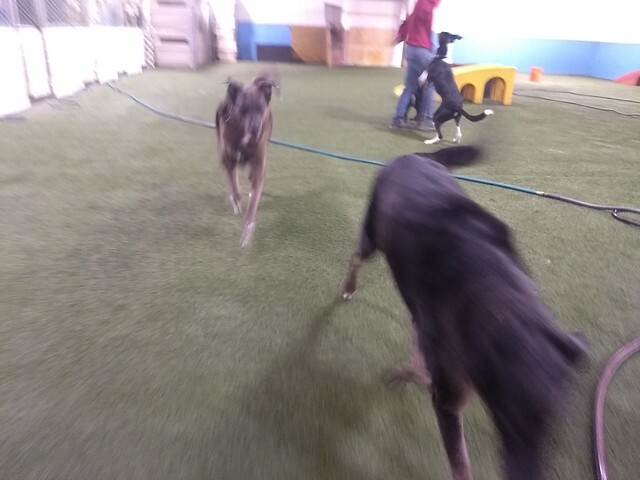 He got used to commands, using the play area and interacting with other dogs. He doesn’t howl like a Siberian normally does all the time, he just does a huffy woof is strangers come around. He knows body language well – all these things he learned at DOTF. Thanks for helping give my Leo a fun and loving life experience. Hopefully we have a couple more years. We love Leo and are so happy to see him. He is getting old but he still gets around!